Canoil devotes a great deal of time and attention to updating and/or supplementing the content on our website as accurately as possible. Despite this care, it is unfortunately always possible that content is incompletely and / or incorrectly displayed. We offer the information offered on these pages without any form of guarantee or claim to accuracy. This information may also be changed at any time without prior notice from Canoil. All prices shown in the webshop are subject to any typing and/or programming errors. No liability will be accepted for the consequences of such errors. Nor will any agreement be made on the basis of such errors. CanOil can never accept liability for external links to websites or services of third parties displayed on the website. 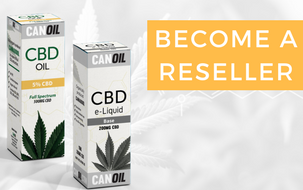 The information offered on the entire Canoil website can under no circumstances be considered as a possible replacement of a medical consultation or treatment by a medically qualified physician! All information about CBD oil has been tried with great care. Our aim is to keep this information up to date. However, CanOil is never liable for any direct or indirect damage that may arise from the use of the information provided herein or from altering, discontinuing or modifying treatment without doctor's advice.